Y’all – it’s here. Today is the day that my first book officially launches into the world! I hope you’ll order a copy or two. Even more, I hope that you’ll discuss this with your community, whether that’s a best friend or a small group or your spouse or a roommate. Why? 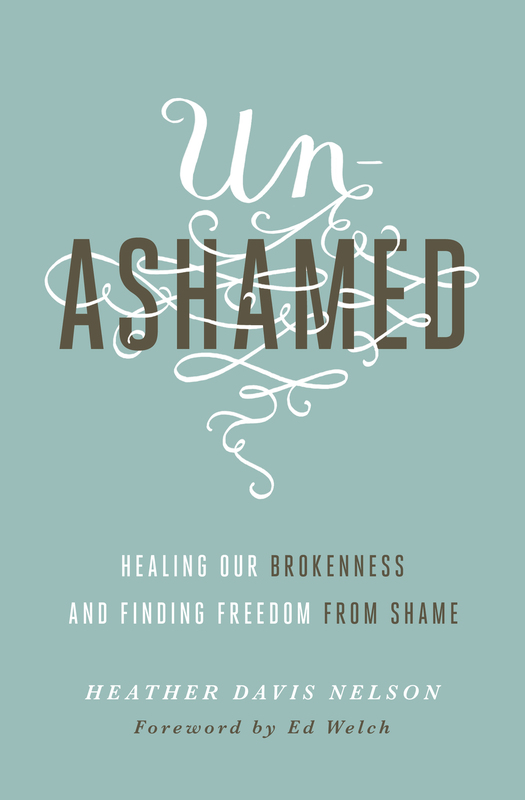 I want this book to be part of a movement in our communities towards gospel-fueled authenticity and away from the shadows of shame that keep us enchained. I want freedom. Healing. Transformation. Joy. And so I’m giving you a sneak preview to you who are my faithful blog-followers – a section from the introduction and the conclusion. These best capture my heart for Unashamed and my prayer for its readers. “I have always been terrified of public speaking. I can trace it back to eighth-grade graduation, when I froze on stage in front of my classmates and an audience of hundreds. Standing in front of the mic unable to utter a word, the expectant and anxious waiting, and an uncomfortable and heavy silence — these are what I fear anytime I am about to take the podium. The fear of being publicly embarrassed, of my weakness being unmasked in front of an audience who sees each excruciating moment, is one manifestation of shame in my life. At its core, shame is fear of weakness, failure, or unworthiness being unveiled for all to see, or fear that at least one other person will notice that which we want to hide. Shame is like a chameleon, easily blending into the surrounding environment so that it can’t be directly seen. “We know that there will be no more mourning or tears or death in the life to come. We look back to Eden to see that there was no shame before sin. Unashamed. It’s where we began, and it’s our destiny as the redeemed ones in Christ. The Christian’s ultimate hope for shame is that we will be clothed in the honor of Jesus Christ when we stand before God in all his glory. Shame will be eradicated forever. No more hiding. No more past to haunt us — either that of our own sin or that of sin done against us. Shame will be thrown to the depths of hell where it belongs with the great Accuser of our souls. It will be like emerging from a grim black-and-white film to a vivid and bright happy ending – an ending without end, that stretches into forever. Join me? You can order Unashamed here. Or look for it in your local bookstore. I’d love to hear from you once you read it. Thanks for celebrating with me today!